Bulk Goose Down & Feathers for Sale! Goose Down by the Pound...Puff & Stuff Away! Looking for a Different Mix? Other Bulk Goose Down and Pillow Feathers Mixes are Available in a Variety of Choices by Special Order. There is a Minimum Order Requirement of 20 lbs per Mix and Options Include: 05/95, 30/70, 50/50, etc. Please Inquire by Email for Price on these and Any Other Available Mixes. ~ Scot ~ Arrived on time as promised. Great product. ~ Clinton ~ Hello, just wanted to say I received the goose down and thanks for the great service. ~ Anon ~ I used untreated down from SmileyMe for a DIY TQ that I'm pretty happy with. I think I would recommend them for a first project. I'd estimate the fill power was between 600-650 based on the quilt I made. If you are confident in your skills and that what you make first will be used for a long time to come, don't skimp on the down. For me, a pound of down for about $60 was just what I wanted. The SmileyMe down was just that, all down, no feathers. You can easily shave ounces by purchasing higher quality and fill power down from places already mentioned. ~ Patty ~ Just wanted to let you know that my order arrived. When I first saw the package of down ( 1/4 lb ), I wasn't sure it was gonna be enough for what I needed, but I have to tell you it was exactly the right amount to put a bit more life back into my husbands bed pillow ! I am very happy with my purchase and with the speed that my order arrived with. Thank you and I will definitely order from your company again ! ~ Carey ~ I bought this same item from you several weeks ago and I only had to pay shipping one time. I bought from you again because I was pleased. ~ Lynn ~ I sewed it out of double thick ticking. It has southwest pattern to it, but we are in AZ. ~ Kristine ~ Excellent Service!!!!!!! I received on Sept.24, way ahead of the estimated arrival. Feathers were as described. Would definitely do buying from them again. ~ Kelly ~ I just put an order in for more down/feathers. Im making cushions and 2lbs turned out not to be enough. Its my first time working with down so I wasnt sure. I was very happy with my order. My workroom looks like a pillow fight but I think the end product will be worth it. ~ Kathy ~ Wow, it came yesterday (Saturday) and wanted to say Thank You for getting it here so soon after receiving the order. Am already enjoying my newly stuffed pillow....its Perfect! ~ Pedram ~ Hi, Just wanted to say thanks for great product and quick delivery. Stuffed my good old (but deflated) pillow and it is great again. Thank you! ~ Titan ~ I bought a pound of white goose down from smileyme last month for a topquilt. I had made a poster board cylinder and weight to specs to test the fill power. I came up with 600-650. The goose down was nice and white, a good number of downy feathers but not many with pokey quills. Granted I did overstuff the baffles on my quilt about 30% but it does loft a lot quicker than my hammock gear incubator 20. Overall I was happy with their product as I wasn't trying to go ultralight with my first quilt. ~ David ~ AWESOME PRODUCT!! FAST SHIPPING! Thank you, guys!! ~ Neil ~ I just finished my underquilt and I was extremely happy with the quality/fill-power for the price. Then again, it was my first time working with down, so I don't know the difference but the stuff expands like crazy. 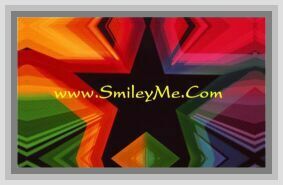 ~ Jan ~ Hi SmileyMe, I got the goose down pillow stuffing and it was great! Thanks! ~ Lisa ~ Here's a pic of the final product from the 1.25 pounds of bulk down. Long twin size 53" x 95" down duvet. Thought you might like to see what it became. Much thx for quality product. God Bless! ~ Jeff ~ Great to work with & very helpful. ~ Chrissy ~ The person I got this for loved it and was almost finished with her project, but I see its no longer for sale and its really hard to find a quarter of a pound of all goose down fill. Is there anyway to make it available again for a short time, or are you preparing more, or no longer selling it? Thank you for your time and wonderful feathers. ~ Angela ~ Great quality feathers. Get more feather pillows for your money if you make them. ~ Kathy ~ Good morning, I received my goose down feathers several days ago. Waiting for it to stop raining so I could make my pillows. Although it was a bit breezy, I made my pillows yesterday out on my deck. A few feathers flew around.... Something my grandsons can gather, I am so pleased with with my purchase. More than pleased! Your company is great. I really like the fact that you personalized it by writing "Thanks Kathy" on the invoice! I'm hanging on to your card so I can let others know. I've already had a couple ask. Again, great service and great product! Thanks!! ~ Katherine ~ The best down I have ever purchased thanks! ~ Zach ~ Thank you so much, I received the down really fast. you guys are the best i really appreciate it. ~ Katherine ~ I wanted to tell you, that I just used the down feathers I have purchased from you. They are absolutely wonderful. I will be ordering more in the near future. ~ Irina ~ Smooth transaction, very fast shipping, great item. Recommend to all. ~ Adamson ~ The feathers are clean and fluffy. They helped to redo our duck feather down pillows that my grand mother made for us 40 years ago. The order arrived in just a few days. I am quite pleased with them! ~ RG ~ I used these to add some loft to a sleeping bag that had lost some of its fluff and the prices was very reasonable. ~ Bonnie ~ Packed wonderful! Not one feather escaped!! :) Very soft and no odor. ~ Laura ~ I very rarely review items but this purchase made me so happy I just had to! The quality is fantastic, they're a beautiful white and grey color, and they don't have an intense odor. I'm beyond thrilled with this purchase. Amazing - Thank you!!! ~ Kim ~ These feathers are perfect for my need. I love the way they come packaged for easy usage. The price is what I expected and purchase in bulk was a plus. ~ Diane ~ Very high quality fill, no odor whatsoever, and great fill power. Not a single feather found, all down as advertised. Very happy customer. ~ Rick ~ SmileyMe doesn't specify it but I would estimate the fill power is to be probably near 600, estimating from the calculated volume of my quilt. I am very happy with the down, it may weigh a couple more ounces then a 800-900 fill power down others sell but for the price, I am very pleased with this product. ~ chrissy ~ I actually bought the product twice from this seller and it came very clean and in a seperate bags. A lb of goose down fill can get over $200. At first it seemed expensive but after shopping around, this was much cheaper when compared to others. ~ Fred ~ Very good, Totally satified with this product and the delivery time. ~ Sam ~ Just what I needed, Good quality white goose down. ~ Nancy ~ I ordered this bag of Down and the quality is outstanding. The price is reasonable and it helped me to fix a pillow and solved my problem. I am now going to make a few down pillows for friends. ~ Pixie ~ Best ever and worked for me. ~ Greg ~ Perfect fill to top off my favorite down pillow that have gotten flater after 10 years. ~ Caryn ~ Great price!! Just as promised 100% goose filling and I was able to restore an expensive down comforter to new! Worth the wait. ~ George ~ It was as advertised. Great price for a great product. I will be a repeat customer. ~ Lilly ~ Exactly as expected. Needed these to add more fill to some pillows. Great feathers, very soft, perfect. ~ Ravis ~ For the price this is excellent quality goose down & would guess somewhere around the 700 fill power range. ~ Scott ~ Exactly as advertised. Pure white goose down. Top quality. ~ Kim ~ Very nice product. Very light and fluffy and soft. All down. Great. ~ Marly ~ I am very happy with my purchase. That is a terrific price for that grade of down I got which was a pound of the 100% goose down. Very fluffy stuff. Rumor is the duck is around 650 and the goose around 750.